Getting back to our Dreamer’s Journey and exploring differences between Angel tarot and the original Rider-Waite (RW) tarot the next card in Angel tarot is Awakening; in the RW tarot, this corresponds to the Hanged Man. The 12 card in tarot is probably one of the more misunderstood cards in tarot. The key to this card is perspective. 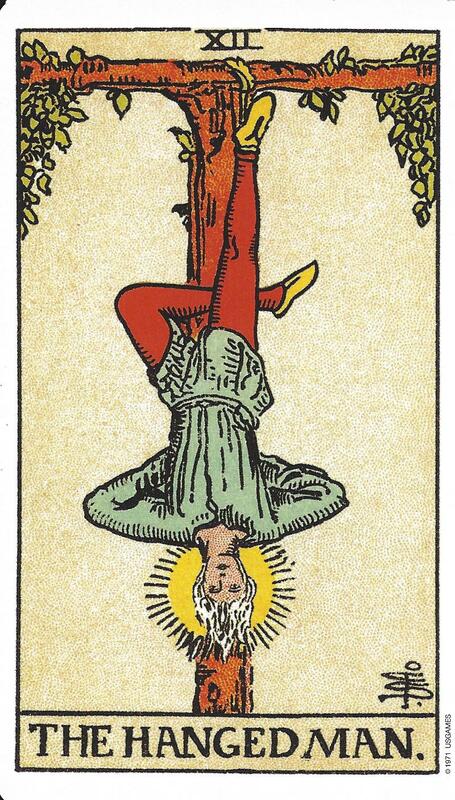 In the RW tarot you will note that the man is hanging from a living tree; not a dead piece of wood. You might also that the halo around his head indicates he is meditating or transforming as opposed to suffering. Being hanged from the foot, as opposed to the neck shows another sign of life, not death. In Angel tarot, Archangel Gabriel has her horn clearly showing but the rest of the picture is shrouded in clouds. The 12 card indicates it is time to detach, contemplate, and try to see life from a different perspective. 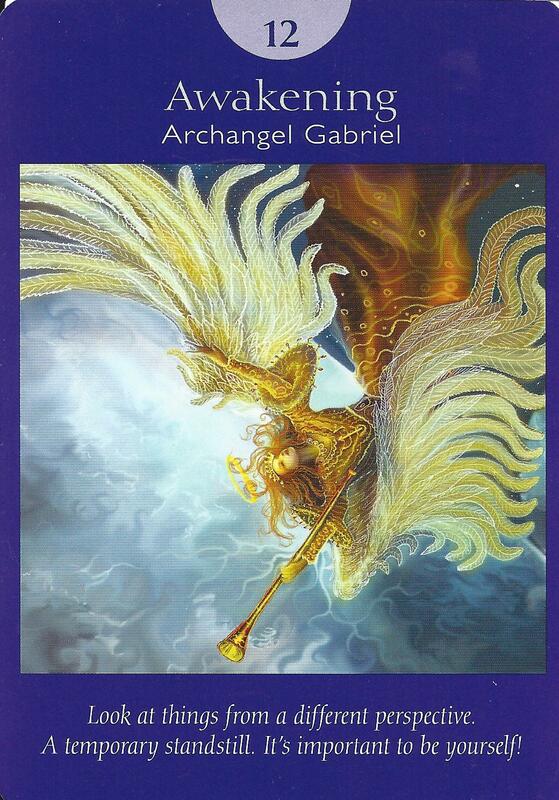 The symbolism of Archangel Gabriel with her trumpet is that she communicates important decisions. She helps people to work from a place of love; to be Divine messengers of Love. If this card is drawn it might be that the Querent is trying to hard to “follow the pack” or “fit in.” The Awakening card signifies it is time to show your true self, your uniqueness. The card asks us to be original. Sometimes this is best done when we are out of our element. If we take this time to step outside of our norm we will experience epiphanies, unexpected changes, or unusual solutions. Thank you so much for detailed explanations!